← YOGA: I’m on a journey! Pizza and pasta are my favorite foods. Of all time. Ever. 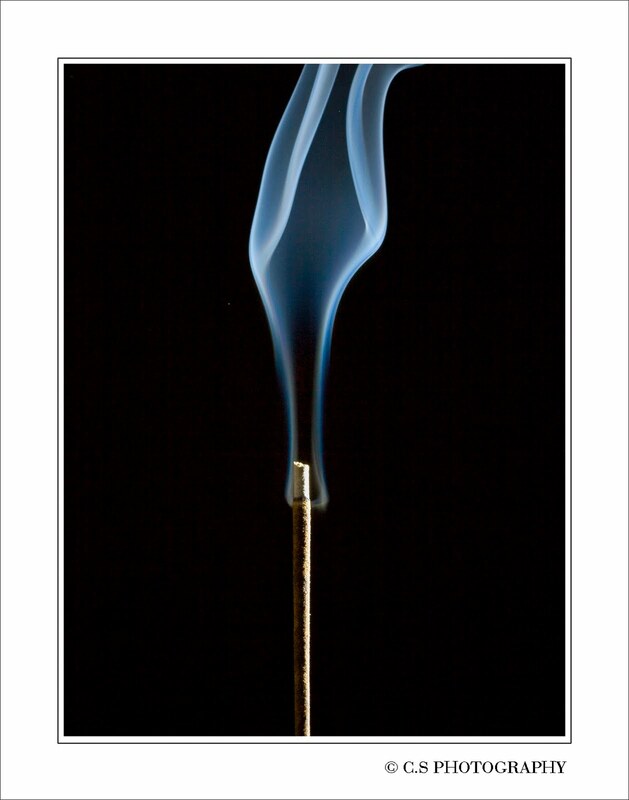 But determined I was, and after a bit of experimenting, this recipe is what I managed to come up with. It’s low cal, incredibly delicious, and super fast to put together! Also, my “meat eater” husband says this is his favorite meal I cook! Disclaimer: I am not a certified nutritionist, I am not a certified fitness instructor or anything of the sort. I’m a normal, everyday person, and this is just what helped me to feel I was indulging, and still being healthy at the same time. Here are the ingredients I used. You can switch it up and use whatever vegetables you love most! Take out the Tortilla, this will be your crust. 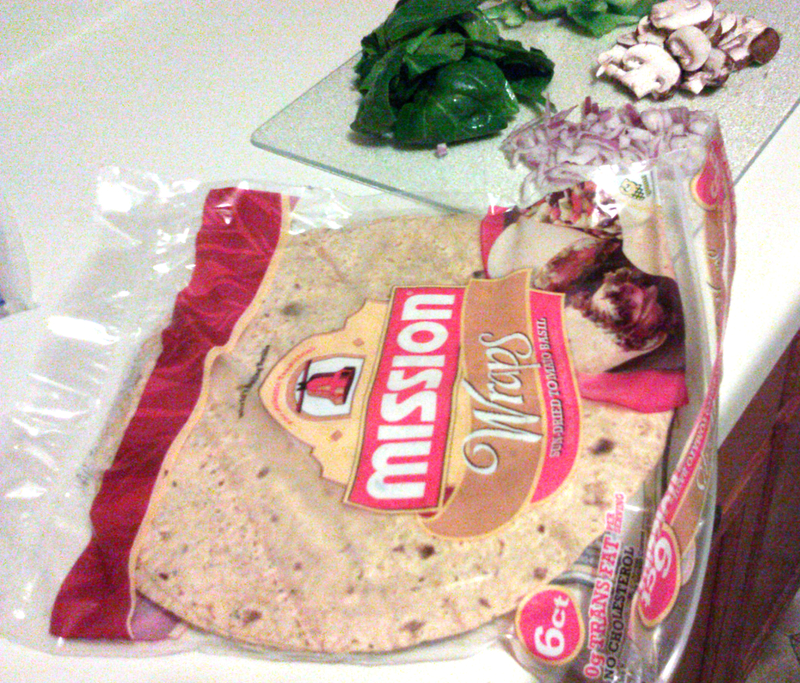 I used Mission Wraps Sun-Dried Tomato Basil. 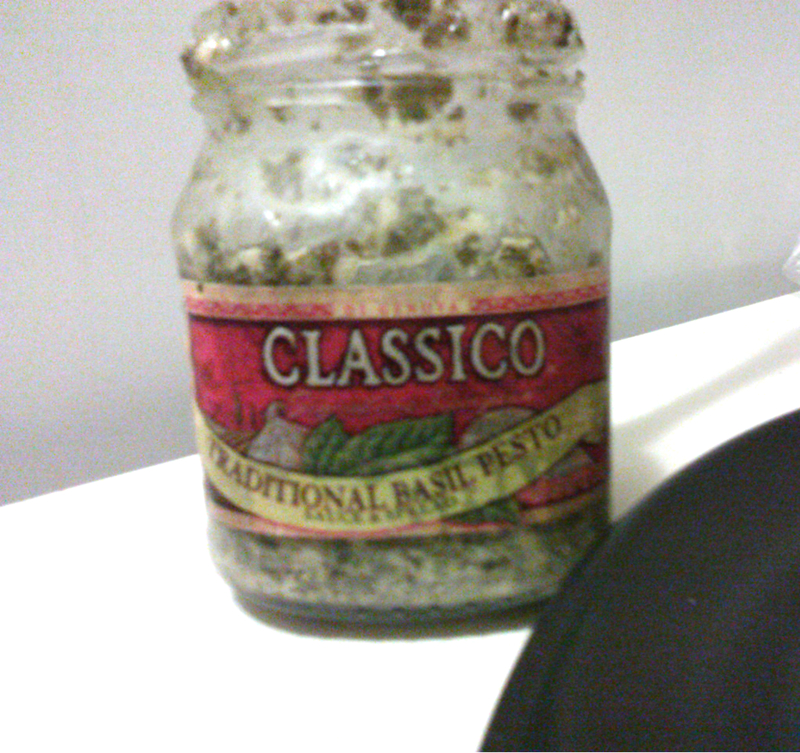 Get out a knife and open up the Basil Pesto. This is freakin’ ambrosia, I swear. I use this stuff all the time! 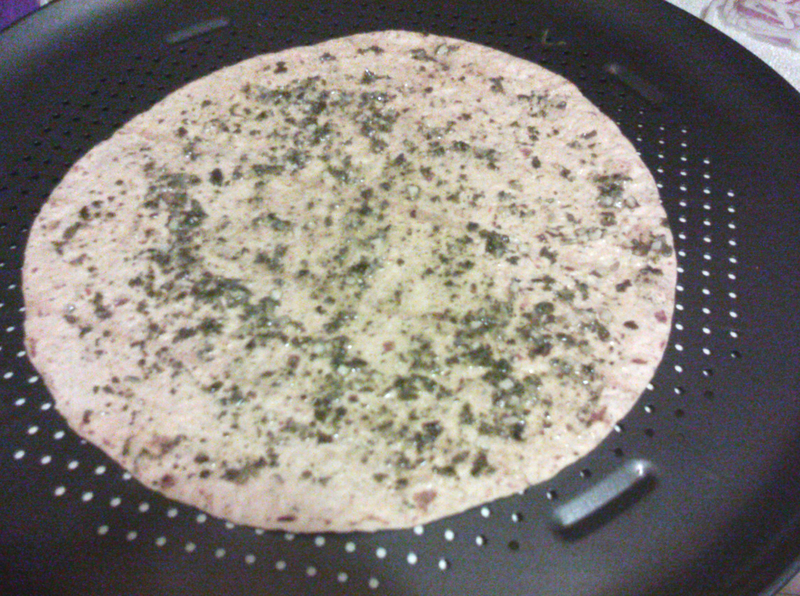 Spread the 2 Tbls pesto onto the tortilla. Make sure you don’t use too much or it will soak the crust, and won’t be as tasty. Dice up all your preferred veggies. 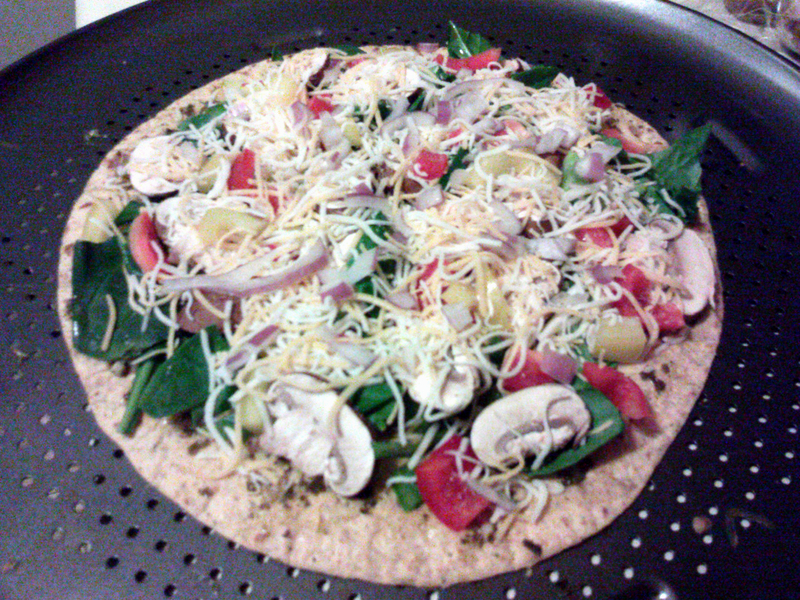 I find it works best to put the spinach on the bottom, and layer the veggies on top. 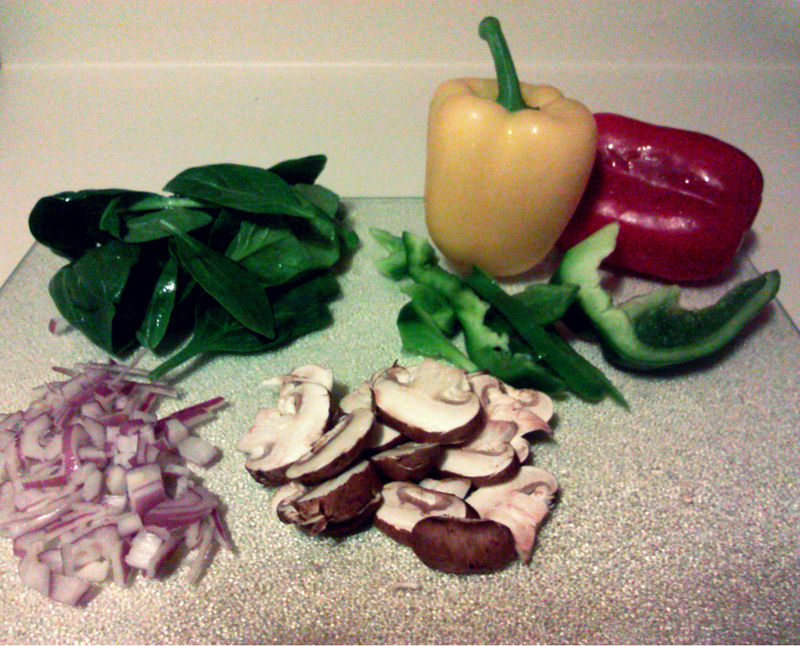 This might seem like a lot of veggies, but it will really make you feel full, for a small amount of calories. Oops! Almost forgot the onions! I threw them on with the cheese. 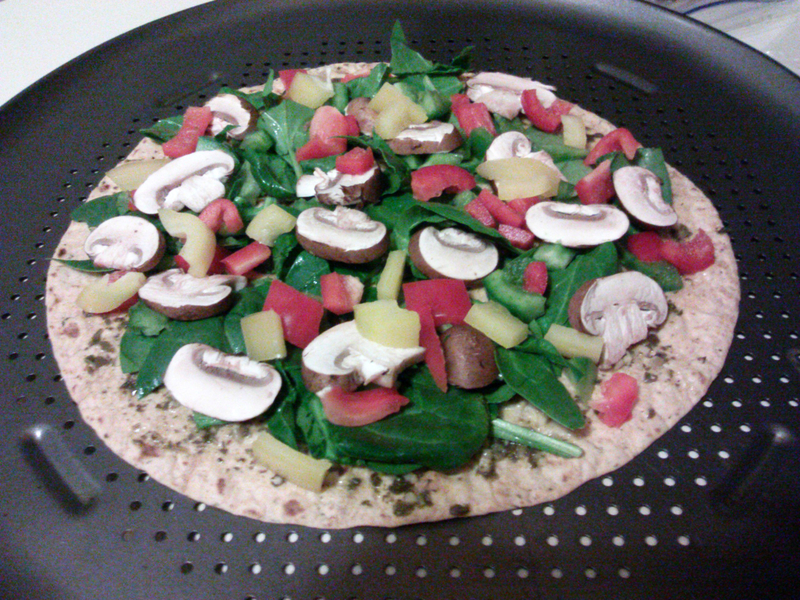 Now put it onto a pizza pan, and put it in your oven for 5-7 minutes, depending on how crispy you prefer it. And, voilà! 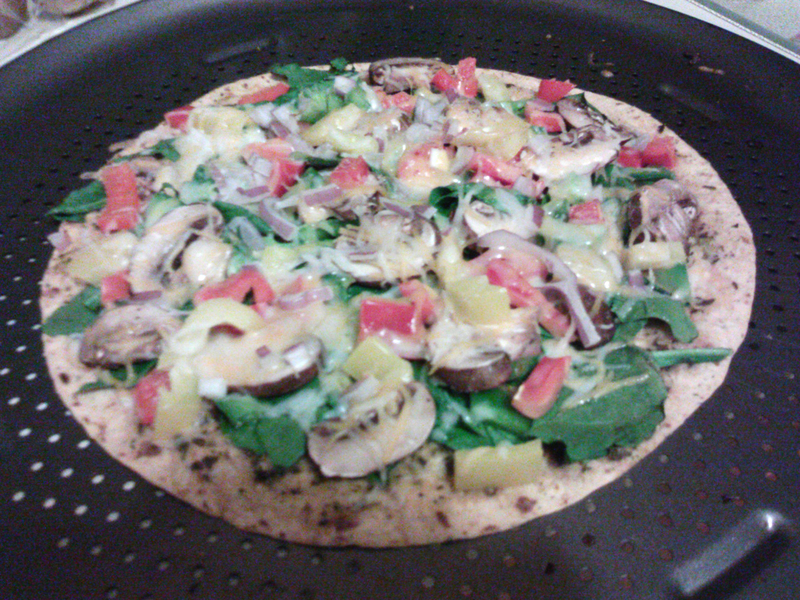 A gourmet, delicious, healthy pizza to satisfy your craving! I hope you enjoy this as much as I do, guys. Let me know what you think! 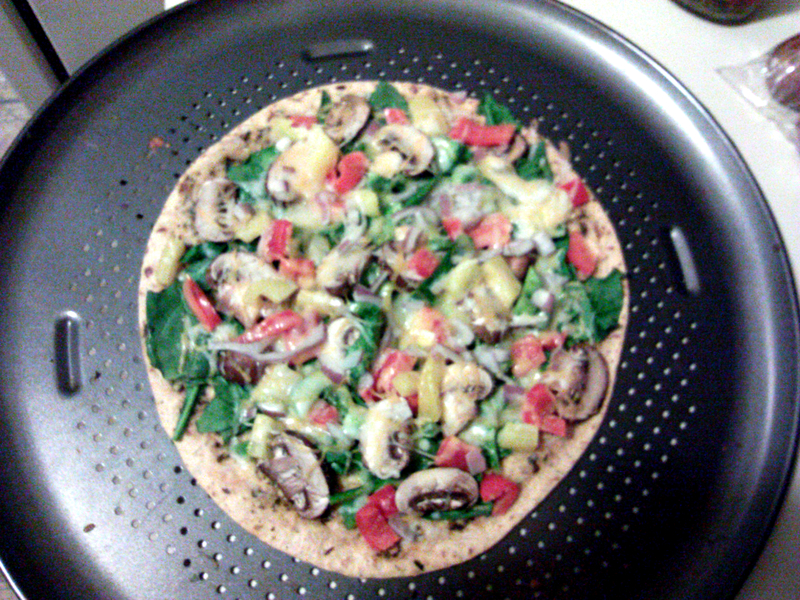 This entry was posted in Fitness and tagged fitness, food, healthy, hippie, nutrition, pizza, recipe, temple, vegetarian, work out, yum. Bookmark the permalink.